After seemingly years of on-again-off-again reunion rumors, it looks like the Spice Girls are about to announce a world tour. Even last week, when the five members held a business meeting, the word was that it would be for TV and merchandising but a tour was out because Victoria Beckham didn't want to take time away from her fashion lines. 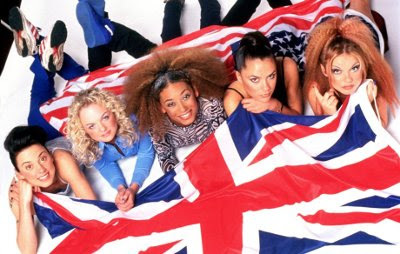 According to TMZ, whatever the hurdles, they've evidently been overcome as Mel B, Beckham, Geri Halliwell, Emma Bunton and Melanie C put together a "rough plan" for a world tour that will start towards the end of the summer. The source also told TMZ that the tour would start in the U.K. and come to the U.S. although there were no plans for a Las Vegas residency. There are also no plans for new music. The group's debut album sold 31 million copies worldwide and established them as the best selling girl group in music history. All told, they sold 85 million albums and were the biggest selling band out of England since the Beatles. The last performance by all five members was at the closing ceremonies of the London Olympics in August 2012. They also appeared together, but didn't sing, at the premier of the Spice Girls musical Viva Forever! in December of that same year.